On this Tuesday, by coincidence, President Lincoln and President Davis each met with his generals to discuss overall strategy. Both sides felt public pressure to engage the enemy, but they also faced problems with supplies, recruitment, and training. Lincoln met with his Cabinet, General Winfield Scott, and General George McClellan, and ordered that preparations be made for a major operation against the Confederacy in the east. He also appointed General Benjamin Butler of Massachusetts to head the Department of New England, charged with recruiting and training soldiers from the region. President Davis met in Centreville, Virginia with Generals Joseph E. Johnston (Robert E. Lee’s predecessor), P. G. T. Beauregard, and G. W. Smith. Although the populous was pressing for Confederate forces to take the offensive, it was decided that the army in Virginia was not yet adequately supplied or large enough to invade the North, and that it would have to remain on the defensive, at least until the spring. October 2, 1861. 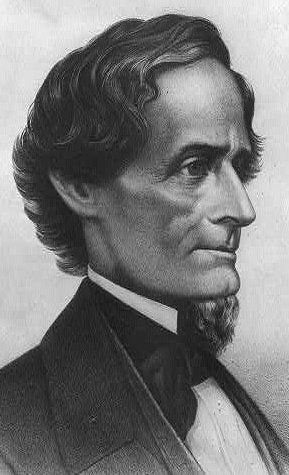 With rumors of corruption in the War Department increasing, Lincoln mentioned the growing unpopularity of Secretary of War Simon Cameron. Cameron would step down three months later. Philip Kunhardt, Lincoln, An Illustrated Biography, p. 160. October 5, 1861. The contract is signed for the construction of an entirely new kind of warship, an ironclad. Armed with a pair of guns in a revolving turret, the first such ship will be the USS Monitor. It would change naval history.